We know the power of a well designed staircase and the kind of unparalleled mystique and elegance it can bring to any room or property. Loretto Chapel is a good example of this. The Southwest has its own unique character and history. We had the wild west, after all —Billy the Kid, John Wesley Hardin, Butch Cassidy and many other gunslingers that have become an indispensable part of the Southwestern folklore. The architecture of the region is also often fused with adobe and Santa Fe style elements. Part of this folklore are the stories and mysteries that have been passed through the generations and history books. So this month, we thought we’d take a look at a local legend and mysterious staircase that has risen eyebrows for some time. Loretto Chapel was constructed deep in the bowels of the Southwestern United States, in Santa Fe, New Mexico. A group of nuns and Bishop John Baptise Lamy help set up a school for girls called Loretto Academy. In 1873, the sisters began the construction of the Chapel. It was done with the traditional gothic-style architecture. The working architect died before he could built access to the choir loft 22 ft above. The way the Chapel was built had left very little room for a staircase, which would have reduced the seating capacity below. The sisters were confounded and left with a dilemma. According to legend, the sisters of Loretto prayed for nine months to Saint Joseph, the patron saint of carpentry. At the end of the nine days of prayer, a mysterious man arrived on his burro— or donkey— with only a few supplies that included a hammer and a carpenter’s square. The man worked diligently for a few days and it is said that when the work was completed, the carpenter simply left without collecting pay or saying a word. 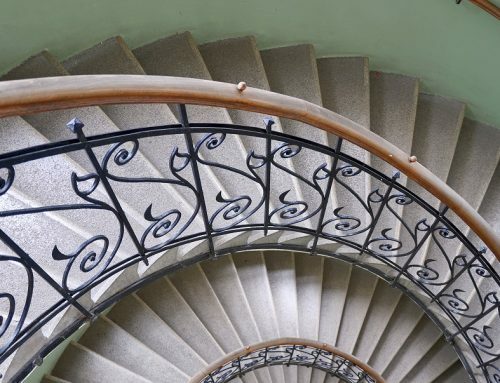 The reason why the staircase has become a source of mystery is because of the peculiar nature of the architecture. This wooden revolving staircase does not have any support structure; it has no central column or support beams. Apparently, the carpenter did not use any nails or glue and has two 360 degree turns and no central support, which makes it a kind of marvel for the time. Another mystery attached to the structure is the fact that it was built with a wood not native to the region and that the identity of the carpenter was never really known. Many different theories have circulated as to who the ‘mysterious carpenter’ was and what had brought him there. The myth says that it was a manifestation of Saint Joseph himself, who had answered the nun’s prayers. Historians that researched the special staircase, however, have found accounts in the nuns diaries about paying a man for wood. This man was found to have been shot and could possibly be the mysterious carpenter. The fact that there were no nails, is also been explained by some by the simple fact that these materials were often hard to find at the time and carpenters would have found other ways to fasten wood without them. So why are we talking about the legend of a staircase in Santa Fe, New Mexico? The truth is that while we might not know precisely how that staircase was built, by whom, or why it was done without traditional support columns, one truthful fact is that the staircase is still an impressive work of architecture, particularly for the time. It also continues to draw in people that travel to gaze at the magnificent work and marvel and its possible divinity. Regardless of whether you believe the legend or not, the staircase is an aesthetically pleasing piece of carpentry. 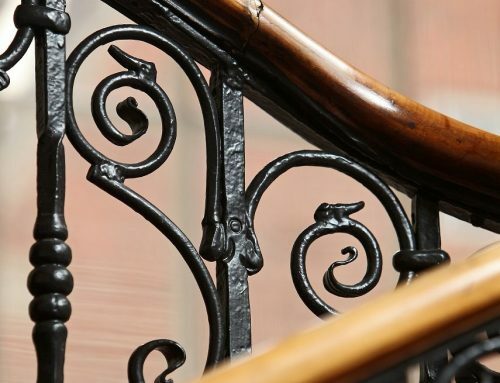 When you walk into the cathedral the beauty of the staircase and its railings immediately catch your eye. 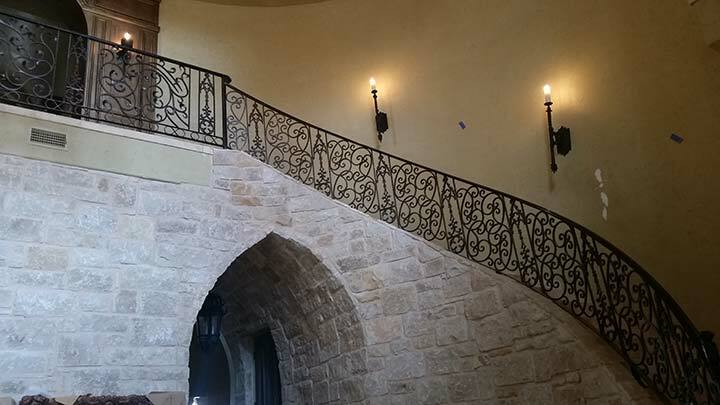 Atrium Wrought Iron knows the kind of classical beauty that spills through a room with the grandeur of a wrought iron staircase or railing. Over the years, we have worked with countless designs to add a bit of majestic flare to your living room, atrium, or balcony. And while it might not be direct divine intervention, our expert workers get close. 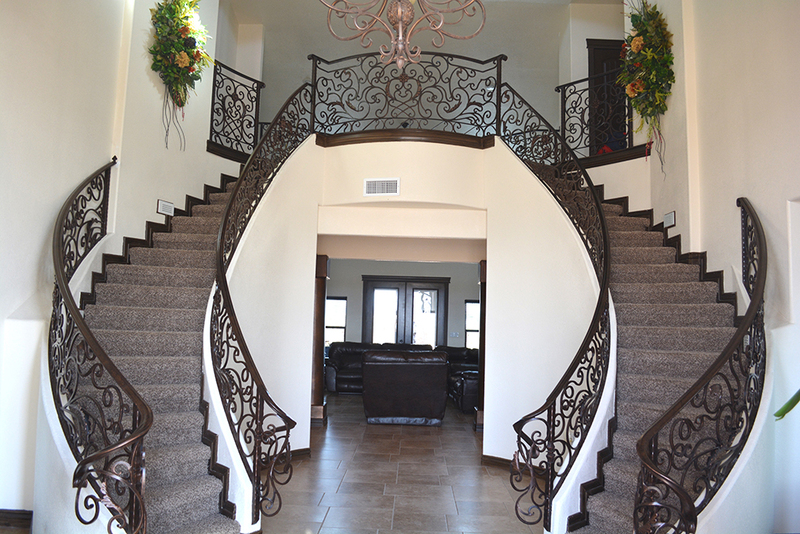 The creativity allowed with wrought iron means that a myriad of designs and styles are possible and the twists and turns with meticulously designed metal will elevate your home to another level of beauty.